The most expensive thing in the world is, apparently, a convenient website. As except for the unaffordable price, what else could’ve been a reason to still not have one? Innovations. 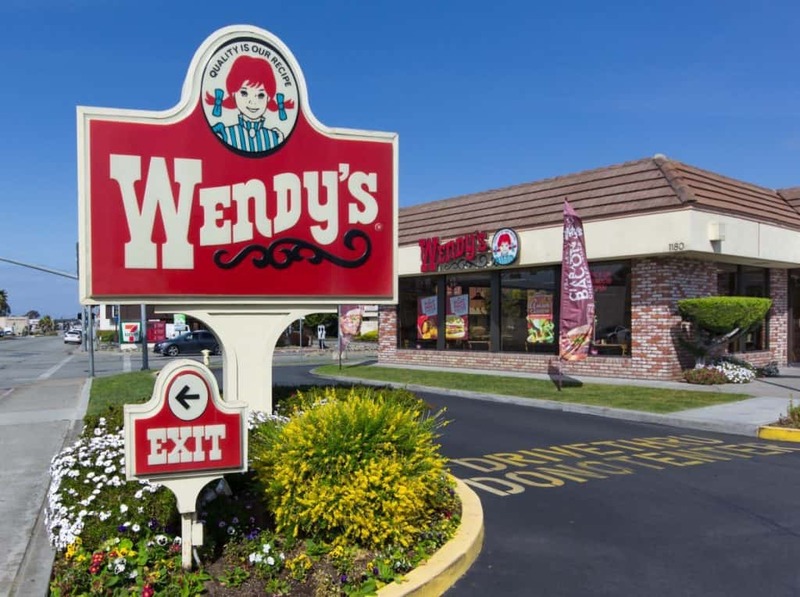 While competitors present clear and explicit nutritional lists and customization calculators, Wendy’s introduces “the square deal” — a blog about their views and recommendations on food and stuff. While others create special keto-friendly dishes, Wendy’s still proudly celebrates bunless burgers. “We’re going to let you in on a little secret. It’s possible to ask for no bun when you order a cheeseburger or sandwich at Wendy’s.” — says their blog. Dear Wendy’s, your secret is a fiasco, and those “innovations” are an attempt to invent a bicycle in the electric-car era. Nevertheless, the good news: it’s possible to have a keto-friendly meal at Wendy’s. Yes, with their lack of friendliness to keto-conscious eaters it might be challenging, hence this guide is here to solve this problem. Just in case you’re wondering, this is nearly all the nutritional information Wendy’s provides; they also have overall nutritional values on product pages, but they don’t break it down into separate ingredients. With all that said, the best tactic is to omit every product that doesn’t look keto-friendly. The list of those baddies includes buns and wraps, potatoes, fries, fruits, cookies, oatmeals, and nuggets. Yes, you must completely exclude nuggets due to the high carb content in their breading. Chicken tenders. Four pieces contain 29g carbs. Breaded sandwiches. Even when you forego buns, the breading on the chicken breast still contains enough carbs to threaten your ketosis. Salads. Nearly all of them contain either croutons or apples; customization is required. Chili. Ingredients are sugar, modified corn starch, and… That’s already enough to omit it. Basically, all the options left are fork-and-knife bunless burgers in containers and one or two modified salads. Let’s have a look at them. Removing the bun makes a hamburger low-carb friendly, that’s common sense. Removing ketchup and onions makes it below-five-percent-carb friendly, that’s keto sense. Nearly each of almost twenty burgers is keto-friendly sans buns; however, some are better than others. As the Terminator terminates, the Baconator baconates. Whichever dictionary it comes from, it describes a sort of so-called bacon magic — the ability to turn a dish into a masterpiece by adding two crispy slices. Since Wendy’s didn’t deliver any information on their bun nutrition, the numbers below are based on the average nutritional values for similar buns. Premium bun nutrition: 182 calories, 2g fat, 6g protein, and 36g total carbs. Sans this bun, the Baconator provides 768 calories, 60g fat, 53g protein, and 4g total carbs. A bacon-cheese layer covers each of two beef patties; even with ketchup, only about 2 percent of the calories come from carbs, so you may boldly add on extra pickles, tomatoes, sweet onions, and avocados and still fit your below-five-percent net carb criterion. If you’re ravenous, you may also add on extra bacon and cheese. If you don’t feel like eating a mammoth, you may opt for the Son of Baconator; halved in beef and lowered in cheese-bacon magic, it provides 442 calories, 37g fat, 28g protein, and 1g total carbs sans the premium bun. Incidentally, the Terminator didn’t even have a son. The Baconator wins. This one is named after Dave Thomas, the founder of Wendy’s. By the way, single is quite a controversial word for the man who was married to his wife for 47 years and raised five children. Unless you use it to describe the number of patties in a burger. Which, coincidentally, is the case. Dave’s Single has only one beef patty, which has never been frozen. Not that those in the Baconator were frozen, but to mention this fact in this section is a way to honor Dave’s intentions to never freeze a piece of beef. Dave’s Single is basically a Baconator’s cousin with extras sans bacon. One beef patty, one layer of cheese, tomatoes, pickles, sweet onions, lettuce leaves, ketchup, and mayo. If you omit the premium bun and keep everything else, it will add up to roughly 388 calories, 32g fat, 24g protein, and 4g total carbs. You can tell for sure that the man who names his business after his daughter is truly generous, hence Dave’s Double and Dave’s Triple won’t be a surprise for you. But Dave, you raised five daughters, how about Dave’s Quintuple? Dave’s Double: 628 calories, 49g fat, 43g protein, 5g total carbs. Dave’s Triple: 908 calories, 70g fat, 65g protein, 7g total carbs. Every other hamburger is, basically, a variation of the Dave’s or Baconator. Make sure not to order those with fried onions due to the high carb content. This one took the most time to write about due to the mouth-watering picture of Grilled Asiago Ranch Club. How on earth you could do better than this slightly bent melted cheese atop the sizzling grilled chicken breast, with lily-white creamy ranch sauce covering freshly cut tomatoes lying on a lettuce bed above a thick piece of Applewood smoked bacon. All on a toasted bun… Oh, the bun, so it’s not that perfect after all. Omit this flour monster to make grilled chicken great again. Sans the premium bun, the nutrition is 348 calories, 21g fat, 37g protein, and 1g total carbs. Out of all chicken sandwiches they offer, you should only go for grilled chicken versions since they have no breading. The second option, Grilled Chicken Sandwich, doesn’t contain bacon and is topped with smoky honey mustard; due to the “honey” part, it has 2-3g additional carbs. However, it’s still an option if you don’t go for extra honey mustard. If you ever thought that salads aren’t filling, it’s time to change your mind. Zesty Southwest Avocado Chicken Salad is made daily from hot chicken breast, Applewood smoked bacon, pepper jack cheese, creamy avocados, and a fresh lettuce-tomato blend; with two packs of dressing, a full portion provides 600 calories, 41g fat, 42g protein, and 11g net carbs. What’s more, after looking at its recipe it seems like a significant amount of carbs come from its ranch dressing. That allows you to adjust the salad’s carb content by using the other low-carb dressings like mayo or light sour cream. Or you can simply order a half version, which is literally halved in nutrients and thus provides 6g net carbs. As practically every large fast-food chain, Wendy’s adds eggs to its burgers to create breakfast options. Unlike other chains, it specifies that those eggs are top grade. So, if you’re willing to give them a try, Biggie Breakfast Sandwich is a decent choice. They even call it “a monument to Wendy’s best of breakfasts.” Indeed, these 660 calories are truly monumental for breakfast. However, you will clearly omit the bun, so the nutritional values will become 478 calories, 42g fat, 24g protein, and 2g total carbs. Without the premium bun, this combination of bacon, pork sausage patty, egg, and melted cheese is totally keto-friendly with only about 2 percent of calories coming from carbs. Of course, these 5 options listed above is not the ultimate list. You can always go for Spicy Chicken Caesar Salad sans croutons, or choose other bunless breakfast options. However, you will need to use your best judgment to evaluate the nutrition of the other modified dishes if you decide to order them. Regarding breakfast options, the majority of Wendy’s spots doesn’t serve breakfast at all. If you wonder whether your closest joint serves it, click the order online button on their website and select your location. If it doesn’t, but you crave for their breakfast biggie, use integrated filters to choose the most convenient location for you. Out of all possible sections in articles about eating out in fast-food chains (Chick-fil-A, Panda Express, McDonald’s, Taco Bell), the part about drinks is pretty much the same. Coca-Cola Zero Sugar. Zero calories as expected. Diet Coke. The product of the Coca-Cola company, with the same zero calories. Does the taste differ? Nestlé Pure Life Bottled Water. “Natural, pure, refreshing, and delicious.” Can plain water be delicious? Why not say it’s grilled as well, who would check? Anyway, zero calories. Minute Maid Light Lemonade. Small and medium portions provide 1g carbs; large, 2g. Brewed Unsweetened Iced Tea. Same three portion sizes, same carb content. Regular Coffee. Nothing more to add, freshly brewed drink with zero calories. The decaffeinated version is also available. Hot Tea. “Warm and soothing,” just as “hot” assumes. Zero calories. Make sure not to confuse unsweetened iced tea with its sweet analog. They named a burger after Dave Thomas, their founder. Here, have a look. Did you notice a horizontal scroll bar? Nowadays, to have it on your website is not even a shame, it’s a crime. And it’s actually both when you’re one of the largest chains with the financial capacity to hire the best of the best. There might be a chance they haven’t bothered to fix it yet (hopefully they have by the time you read it) because a massive update is being prepared. The one which will allow you to readily get all the nutritional info about their ingredients. The one which will introduce a nutritional calculator. And the one which will make their website look as good as their dishes. Yes, that’s not a lie — their dishes look fantastic; every entree is a culinary masterpiece. Their Grilled Asiago Ranch Club looked so delicious the author had to order himself a sandwich to be able to focus on writing about food instead of craving this food. Regarding keto-friendly options, every burger can be wrapped into a lettuce leaf or served in a plastic bowl with a knife and a fork. Not if that’s not enough, but with all the contemporary low-carb craze people are asking for more. Everyone wants to feel valuable and special and to be treated accordingly; ketoers are not an exception. You can’t ignore keto, and you look outdated celebrating bunless burgers. Chipotle introduced the keto bowl. Wendy’s, it’s your turn.